I came across this do-it-yourself, visualization that makes use of tools I use in my job, and I’m going to try and do something similar. It’s a cool visualization that goes well with live teaching. I work a lot in After Effects, and something like this is very much doable. It looks complex, but I think it’s rather straight forward. 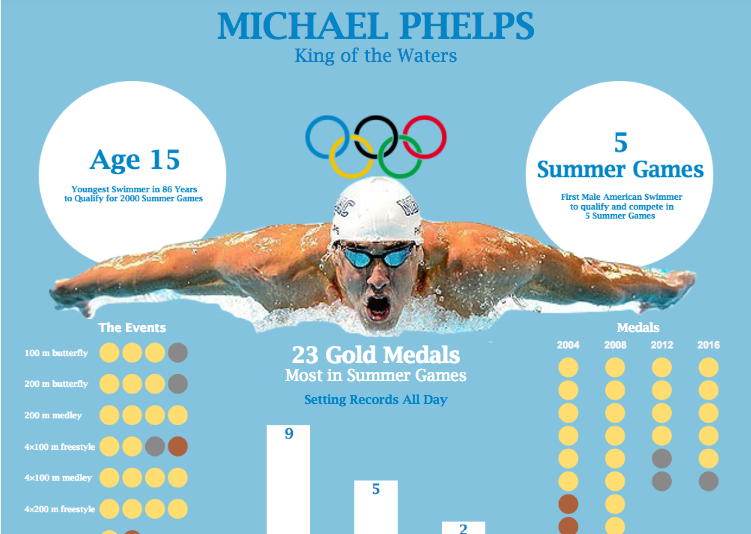 I know there seems to be a general momentum towards new types of data visualizations, but I came across this visualization of Michael Phelps, and I thought it was a good example of how one can still use images effectively to convey information quickly. It’s a nice mix between design and data.